The Big Basin Daypack is made from noise reducing fibers, Quiet Cloth™ lets you make ultra-quiet pack adjustments and helps to reduce your audio signature in the field. Roomy main compartment with four accessory pockets, an internal front organizer compartment with two accessory pockets and key fob. The Big Basin Daypack is made from noise reducing fibers, Quiet Cloth™ lets you make ultra-quiet pack adjustments and helps to reduce your audio signature in the field. Roomy main compartment with four accessory pockets, an internal front organizer compartment with two accessory pockets and key fob. Features Hawkeye Bino Strap System, Bino straps can be used independently or connected to shoulder straps for ultimate stability while glassing. 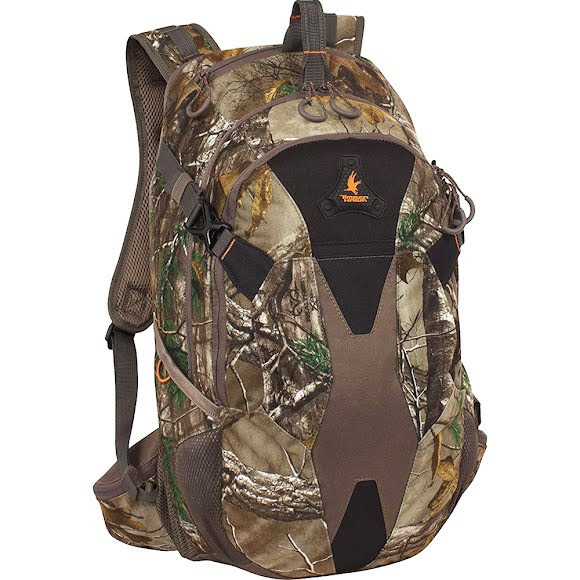 This dayback has high density breathable foam padded back and shoulder straps. multiple webbed accessory loops. Plus hydration compatible (reservoir not included) Waist belt with left and right zippered pockets. Purchased for my husband's birthday. He loves it! Fast shipping also.